Welcome to the first issue of the One Tam e-newsletter! 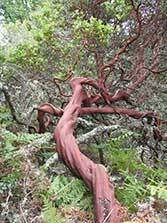 This quarterly publication will provide updates on the projects, programs, and activities of the Tamalpais Lands Collaborative (TLC) and the One Tam initiative. If you were forwarded this email but would like to receive future newsletters directly, you can sign up here. The TLC is not a new agency or governing body, but rather a partnership of the four public agencies responsible for Mt. 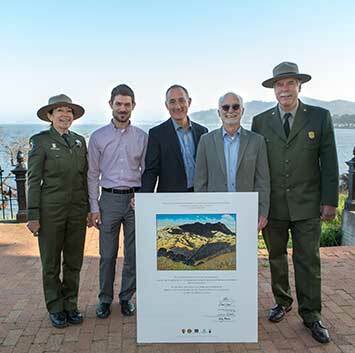 Tam (California State Parks, Marin County Parks, Marin Municipal Water District, and the National Park Service) and the nonprofit Golden Gate National Parks Conservancy. 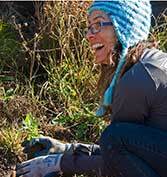 Together, we’ll be able to share expertise and resources to care for the mountain in a more holistic manner. Our work is guided by a Memorandum of Understanding and our goals and aspirations are laid out in the five-year vision document, The Tamalpais Lands Collaborative: One Mountain, One Vision. One Tam is the TLC initiative that represents Mt. Tam as a single place—one mountain for which we are all responsible. One Tam seeks to raise awareness about the need to maintain Mt. Tam’s long-term health, engage more volunteers in caring for its treasured resources, and renew the spirit of philanthropy that has been so fundamental to the preservation of the mountain over the past century. It’s through community support that Mt. Tam has been protected for the last 100 years. And it’s through continued community support and stewardship that we can protect it for 100 more. • Community Engagement. TLC partner representatives have been meeting with a wide range of stakeholder groups in Marin [link to list] to build awareness of the TLC and One Tam, and foster conversation about the mountain’s ongoing stewardship. If you are interested in having someone come speak with your group, please contact us at info@onetam.org. • Volunteer Programs. A series of collaborative volunteer programs spanning all TLC partner lands began last November and will continue through 2015 (see below). • Stewardship and Restoration. We are currently in the process of hiring a One Tam Community Engagement & Youth Program Manager to serve as the lead community ambassador managing volunteer and education programs. We are also hiring a One Tam Restoration Program Manager who will lead restoration, citizen science, monitoring, and stewardship efforts across the mountain while also engaging the community through volunteer events. All events are family-friendly and open to volunteers of all ages. For more information and to register: OneTam.org/volunteer, volunteer@onetam.org, or call (415) 561-3077. 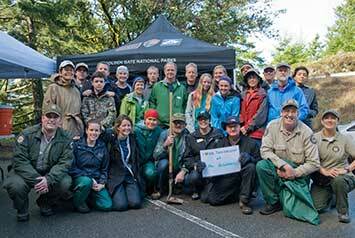 On November 22, more than 120 people braved the rain to participate in the Mt. Tam Day of Thanks. Teams of intrepid and enthusiastic volunteers planted native plants in the Redwood Creek floodplain, fixed fences and repaired trails at Pantoll Station, busted broom at Horse Hill, cleared boardwalks at Muir Woods, and pulled invasive trees and made wreaths at Sky Oaks. You can check out photos from the day here. Mt. Tam is home to at least 900 species of plants, 50 of which are rare, threatened, or endangered.